The sale can be availed at the company’s dealerships, its online store and other brand stores. Royal Enfield’s ‘End of Season’ sale has commenced. The sale will be applicable on select riding gear and apparel. Buyers can avail of the discount till 1 March 2019. Royal Enfield has commenced its ‘End of Season’ sale on riding gear and apparel. As part of the sale, select riding gear, apparel and accessories from the brand will be available at a flat 40 per cent discount. The company sells an extensive range of riding gear and apparel products that is not only well-priced but also offers excellent protection. But unlike conventional riding gear products that boast of a purpose-built design, Royal Enfield’s riding gear and apparel are quite fashionable. This makes them a great addition to the daily-wear collection of any responsible motorcyclist. As for the sale, buyers can avail of the discount at Royal Enfield’s over 800 pan-India dealerships, its online store and other brand stores. According to the company, the sale will be open till 1 March 2019. New Delhi, 17th January, 2019: Royal Enfield, the global leader in mid-size motorcycle segment, have announced the End of Season Sale on their Apparels and Accessories. Royal Enfield sale is providing flat 40% discount on select merchandise beginning tomorrow. Consumers will have a host of options to choose from including Protective and Urban Gear, Luggage and accessories. The array of products is made available is perfect for styling the rides on the free winding roads to making the perfect wear for casual evenings. Royal Enfield admirers can avail the discount between the period of 15th January to 1st March across all channels including the Online Gear Store, Brand stores and across the network of 800 dealerships in India. The adrenaline for riding is a year round pump and the enthusiasts need no reason or rhyme to hit the roads. Over the years, there has been a steady rise of solo travelers be it men or women who have been striving to tick off a motorcycle road trip from their bucket list. For all those and other consumers in an era where motorcyclists are looking for ways to flaunt their style and eccentricity, Royal Enfield has a range of riding gear that is an amalgamation of both style and safety. 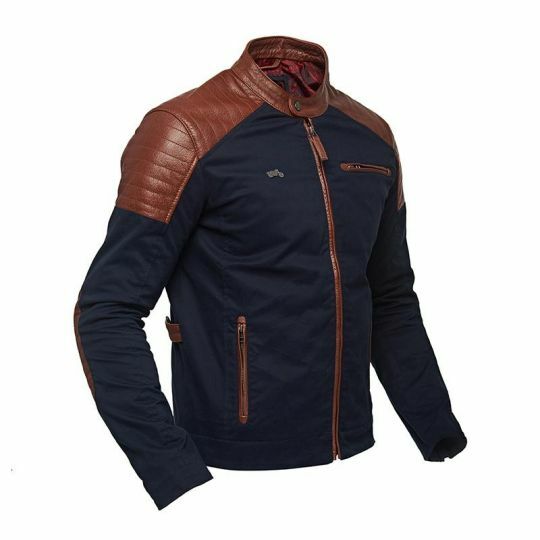 The discount is applicable on Eyewear, Gloves, Headgear, Helmet, Jackets, Denims, Protective Trousers, Jackets, Shirts, Shoes, Sweaters, Sweatshirts, Urban Trousers, T-Shirts, Bags, Saddle bags, Bike Covers, Boot Covers, Rain Jackets and Rain Suits. This discount is available across dealerships right now and Royal Enfield Online Store from Jan 18, 2019. Do not find any riding jackets having any discount mentioned in the below site, is this a true new on discounted Riding gears? Do not find any riding jackets having any discount mentioned in the below site, is this a true new on discounted Riding gears? I have visited the HSR Showroom in Bengaluru. This offer is only on selected items like shirts and T shirts and a single colour/design head gear. Don't think on all and rush. I have visited the HSR Showroom in Bengaluru. This offer is only on selected items like shirts and T shirts and a single colour/design head gear. Don't think on all and rush. If Royal enfield bullet 350 standard model are also available dual channel ABS ? If Royal enfield bullet 350 standard model are also available dual channel ABS ?